Finishing off this first-century letter to early Christians, Peter addresses the’elders’ of the communities he is writing to; that is, the senior leaders of the church. He gives them three tips for good leadership within the Church, which can be easily translated to any leadership positions. Peter then addresses people in positions of ‘followers’, under someone else’s leadership. Essentially, Peter says to lead and be led with humility. Kirk explores humility for leaders, and humility for followers in the final talk in our Strangers: Far From Home series. Continuing our look through Peter’s letter to first-century Christians, scattered throughout the Roman Empire, Peter addresses a people who are beginning to be persecuted for their faith. Within a few years of this letter being written, Christianity is outlawed throughout the Roman world, and Christians are arrested for their faith. Sam explores what happens when Christians suffer for doing good, and sees how Peter shows that they are blessed for their suffering, that suffering exercises their hope, and that Christians participate in suffering with Jesus- just as he suffered for us. Grappling with harder and weightier topics in the Bible together as we strengthen our community and our faith in God. Megan tackles Peter’s instructions to first-century Christian Slaves, Wives and Husbands to submit to authority. These early Christians were freed in their relationship with God, and welcomed into this new family – no Jew or Greek, Slave or Free, Male or Female. The identity of these people broke through previous barriers of their culture. How does Peter’s instruction to submit follow through to us in the 21st century? 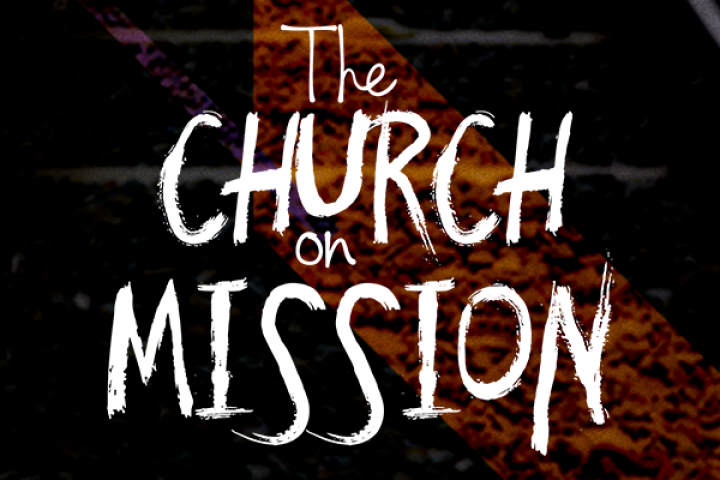 Megan looks at the trajectory which Jesus himself set the culture on, and where it is leading us today. How do you know how to take the right path in life? Sam explores these two verses from Peter’s letter to first century Christians, and how they show us which path we should take in our lives. Should we walk the path of isolation, of assimilation, or of proclamation? Peter’s letter to churches scattered across the known world of the first century speaks to the identity of the recipients of the letter and reminds them that they are a chosen people – chosen by God. Julie looks deeply into the phrases used to identify these early Christians, and by extension, us today. Being called ‘living stones’, and a ‘royal priesthood’ isn’t something we easily relate to today, but 2000 years ago the context of the ancient world would have made these identities make more sense. A 2000-year-old letter written by one of Jesus’ friends, 1 Peter presents the Christian life as a journey that we all go on – beginning when we decide to start our relationship with Jesus, and ending when we see him face-to-face. Peter gives us directions for this journey, and this week Kirk explores Peter telling Christians to “be holy”, by being obedient. Obedience has a pretty lame reputation in most contexts, but Kirk shows us how being obedient can be a very good thing. Peter’s letter to early churches scattered across the world speaks to people waiting in hope of something great to come. Though the people this letter was originally written to were facing trials and persecution, Peter encourages them that trials “…have come so that the proven genuineness of your faith—of greater worth than gold, which perishes even though refined by fire—may result in praise, glory and honor when Jesus Christ is revealed.” Megan explores waiting and how we are still waiting for Jesus. The experience of waiting is expected and purposeful for God’s people- we do not wait in the dark, but rather we wait with evidence. We’ve all got stories of times we’ve failed in our lives. Whether it’s leaving the Salmon out of a Salmon Tortilla, or leaving $200 in cash in an ATM. Tim looks at the failure of Peter, one of the key leaders of the early church, when he denies knowing Jesus three times just as Jesus is arrested and crucified. Jesus knows our failures, he isn’t surprised by them, or unaware of them: he knows everything we’ve done in our lives. BUT Jesus knows about these failures, and forgives Peter, just as he forgives us, giving Peter a new life, with new purpose. 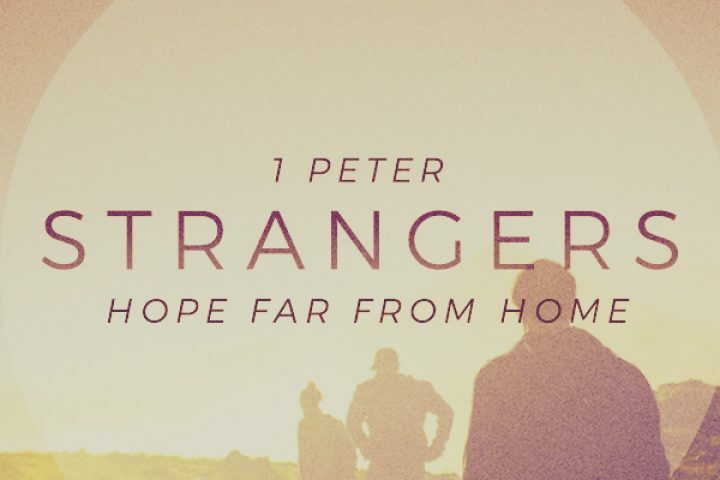 This biography of Peter’s failure and life serves as an introduction to our new series, Strangers Far From Home, looking through the book of 1 Peter, an open letter written by Peter to believers scattered throughout the world.